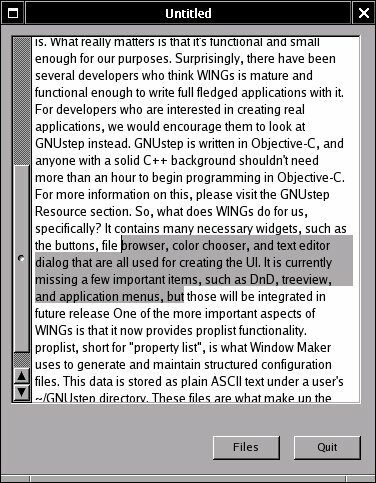 This section lists the prototypes of all the WINGs and a few libwraster functions, some of them with a coding example. 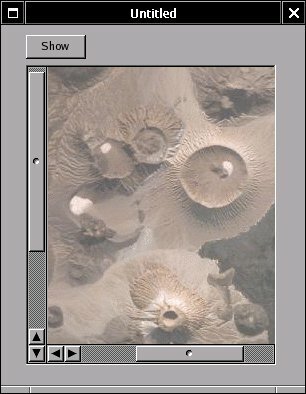 A frame can be used to group widgets. When moving widgets, their position will be calculated with respect to the upper left corner of their parent frame. A frame has a WMView. Title position definitions are here. WMReliefType WMFlat will make the frame's border invisible. A pop-up button shows a list of buttons when it is clicked. 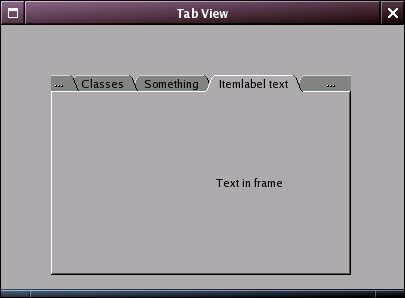 Use the WMSetPopUpButtonPullsDown function with boolean true to make it pull down like a menu. When false, the list will shift, and the current item will be under the mouse pointer.WMAction has been described above. To make the list, you create the first Button, and just use WMAddPopUpButtonItem for the next ones. The numbering starts at 0. You do not need to keep pointers to your labels, as there are functions to get the item number, and,with the item number, the label. The action called is the same for the whole menu list. 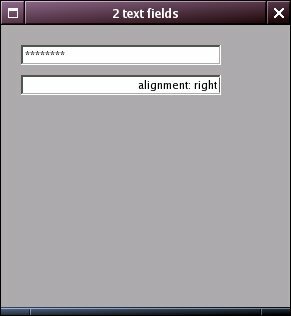 A text field is a widget in which the user can type text. Setting it to secure will show asterisks instead of the typed in characters. 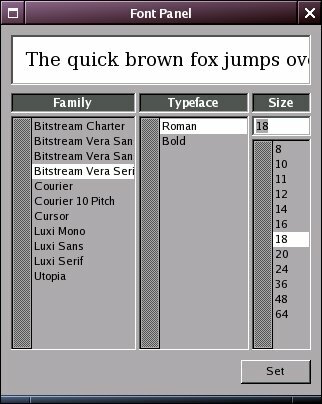 A label displays text in its parent. 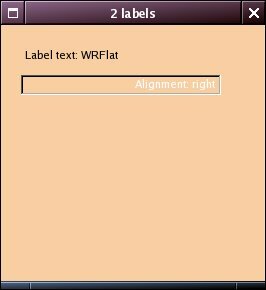 WRFlat is the relief type which shows the label without a border. WRSunken and WRSimple are other relief types. The slider's orientation is set by WMResizeWidgeting it. 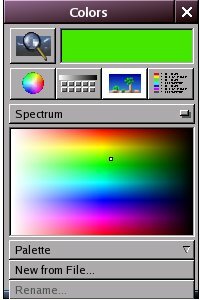 A continuous slider will pass all the values along the way when it is being changed. 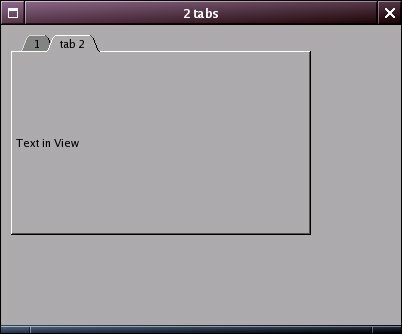 This widget can have two scrollbars to navigate the widget inside of it. 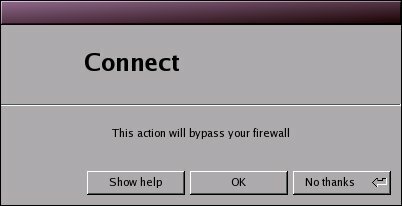 A message pop-up window is shown by calling: int WMRunAlertPanel (WMScreen *scrPtr, WMWindow *owner, char *messagetophalf, char *messagebottomhalf, char *defaultButton, char *alternateButton, char *otherButton) The first argument should be the widget's screen, the second the window we are working in. The last three are labels for three buttons. The default button will return WAPRDefault (0) from the function, if clicked, and is the option selected if the user presses 'enter'. The middle and left button return 1 and -1. Only those buttons are shown whose labels are not NULL. 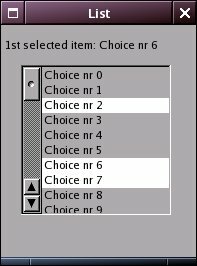 A pop up which asks for input, with a cancel and OK button, is provided through the self explanatory function: char * WMRunInputPanel (WMScreen *screen, WMWindow *owner, char *dialogtitle, char *message,char *defaultText, char *okButtontext, char *cancelButtontext). Cancel returns a null pointer. The defaultText is presented in the text field in the pop-up, and can be changed by the user. To open files there is a struct WMOpenPanel, to close them WMSavePanel. As for the WMView, we take the nature of the Panel as given for now. We just open a pointer to one on the screen we have opened. 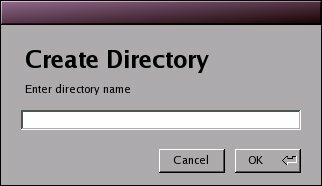 To open files, the WMOpenPanel pointer is passed to the function WMRunModalFilePanelForDirectory, which makes the file selector pop up. The owner can be set to NULL. initialpath is a string containing the starting directory name. The title is the dialog's title. 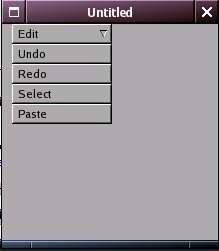 The dialog has cancel and OK buttons, which make the function return False and True respectively. 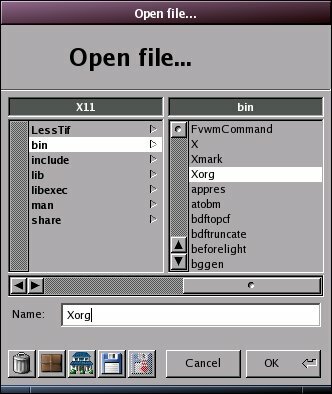 If True, the selected file name can be retrieved with WMGetFilePanelFileName (WMFilePanel *panel). To save files, exactly the same functions are used, with the only difference that you pass a pointer to a WMSavePanel. FreezeText and thaw before and after appending will make the appended text appear immediately. WMSetList[Double]Action specifies a WMAction to do, when a list item is [double]clicked, e.g. is a function in libXlib. It returns the number of events in the queue, if needed, after flushing the events buffer. If there are any, WMNextEvent can be called, and next WMHandleEvent. This call will put the notification in a queue.